Kimmy Cantrell discovered his artistic vision in high school when he fell in love with clay in an art class. After his first hand-built vase was chosen for display at the local board of education, his teacher suggested he study art in college. Instead he decided to study business at Georgia State University and spent fifteen years in distribution management. In 1991 he accepted a job in Tifton, a small rural town four hours south of Atlanta. It was there, after almost twenty years, he decided to reconnect with clay. First there were vases, then bowls with faces, leading to clay pieced collages. The self-taught evolution of his art continues today. 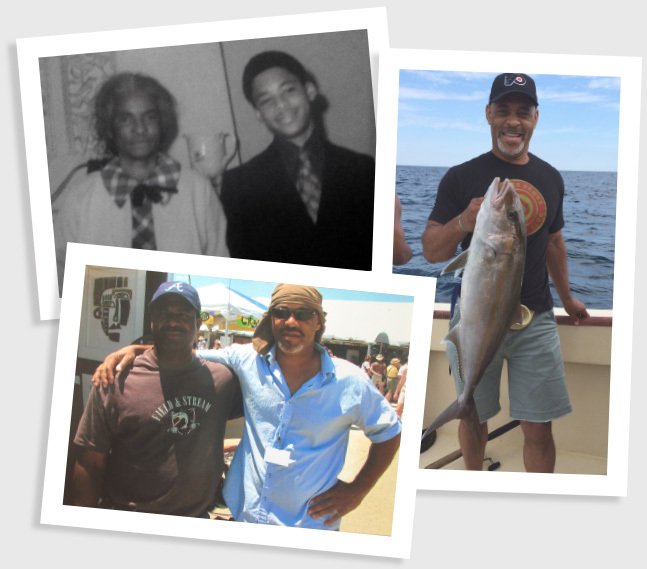 Through his fragmented flowers and fish for instance, he recounts fond childhood memories of his grandmother (Bama) who was a very important figure in his upbringing. Bama taught Kimmy lessons of perseverance, living within your means and how to be responsible for your own success. He has also used his nudes and faces as a platform for political, and social commentary. His titles are notable as they are often powerful and poignant reflecting turbulent times. His work has been exhibited at galleries, festivals, and museums nationally as well as represented in private collections abroad, including Sweden, Italy, France, and England. 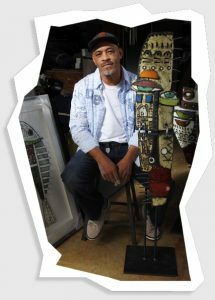 He has exhibited at art Expo in NY, Miami, during Art Basel, and currently shows at Sausalito, St. Louis Arts Festival and the Philadelphia Museum Show. Kimmy Cantrell currently resides in Atlanta Ga.